Charlotte has a wobbly tooth, in fact she has two wobbly teeth. 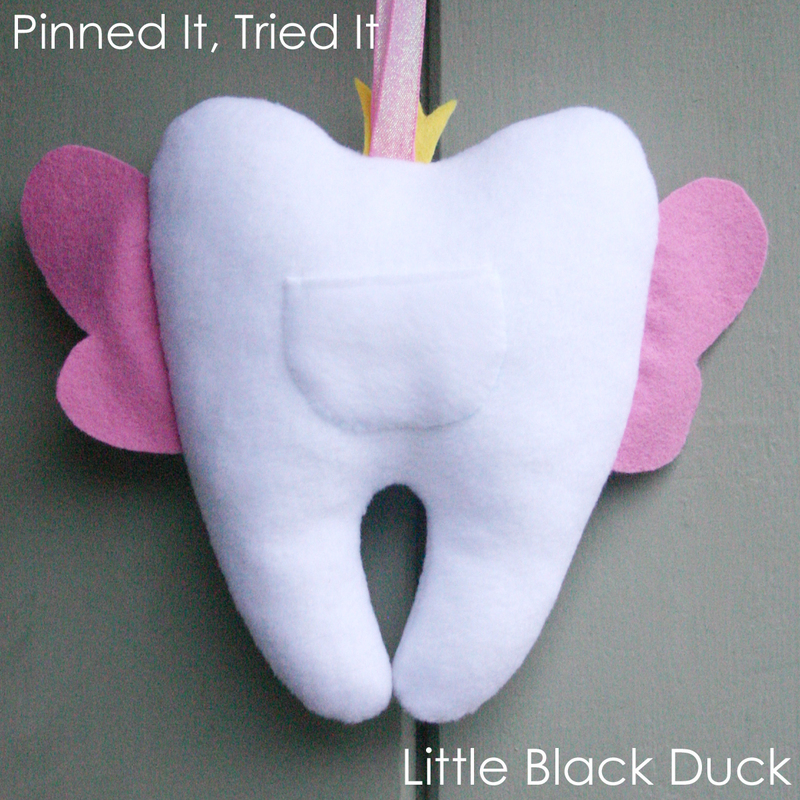 By co-incidence I saw a picture on pinterest the other day for a tooth shaped Tooth Fairy Pillow. Despite being busy with work and Christmas orders I decided to whip one up….well, you just don’t know when that first tooth is going to fall out! 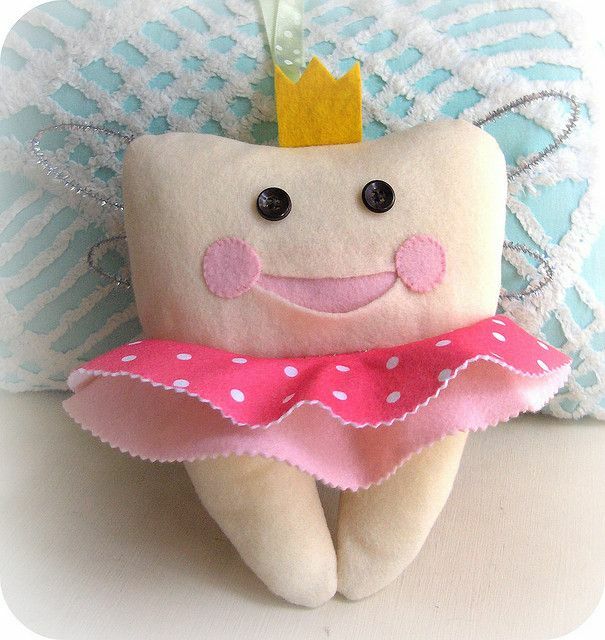 Charlotte is completely over the moon with her Tooth Fairy Pillow and can’t wait for her first tooth to fall out! Have you Pinned and Tried anything recently? Lovely, lovely! Love the closed eyes! Super cute. Oh that is gorgeous! Tooth fairy pillows are a great idea. We just have a basic shop-bought one but it has been worth its weight in gold. It certainly makes the tooth fairy’s job a heck of a lot easier when she’s scrabbling about in the dark looking for a tiny tooth! 😉 Our tooth fairy, by the way, is called Pearl Sparklewhite and she leaves a teeny tiny letter in the pillow after she’s been. Its always a moment of high excitement when a letter and coin is found next morning! Linda, sua fada dos dentes!!! Os olhinhos e as asas são um charme!!!! Parabéns e obrigada por mostrar sua fadinha.